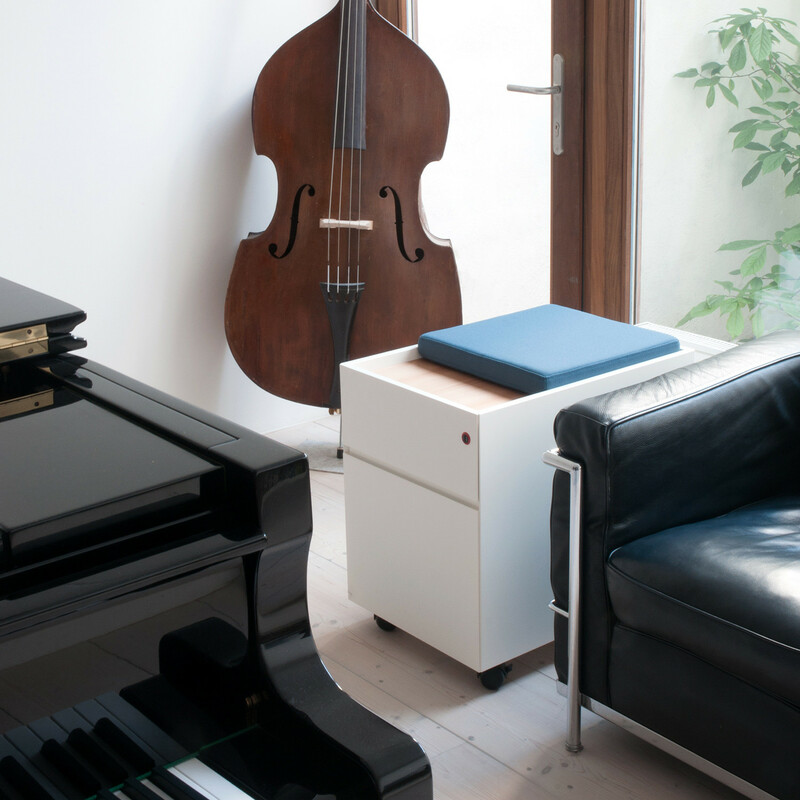 Mr. Walter Pedestal is a contemporary mobile under desk storage collection by furniture manufacturer Bulo. Mr. Walter personal pedestals are characteristically modern in their unique combination of available finishes and features. 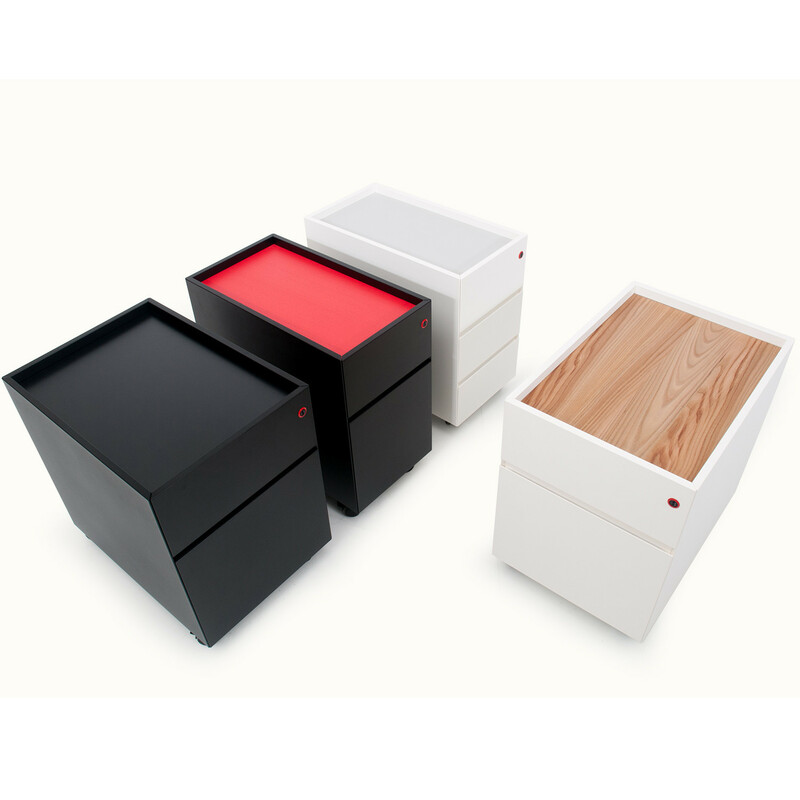 Constructed using wood these personal storage companions offer you the option of a two tone finish on the carcass. 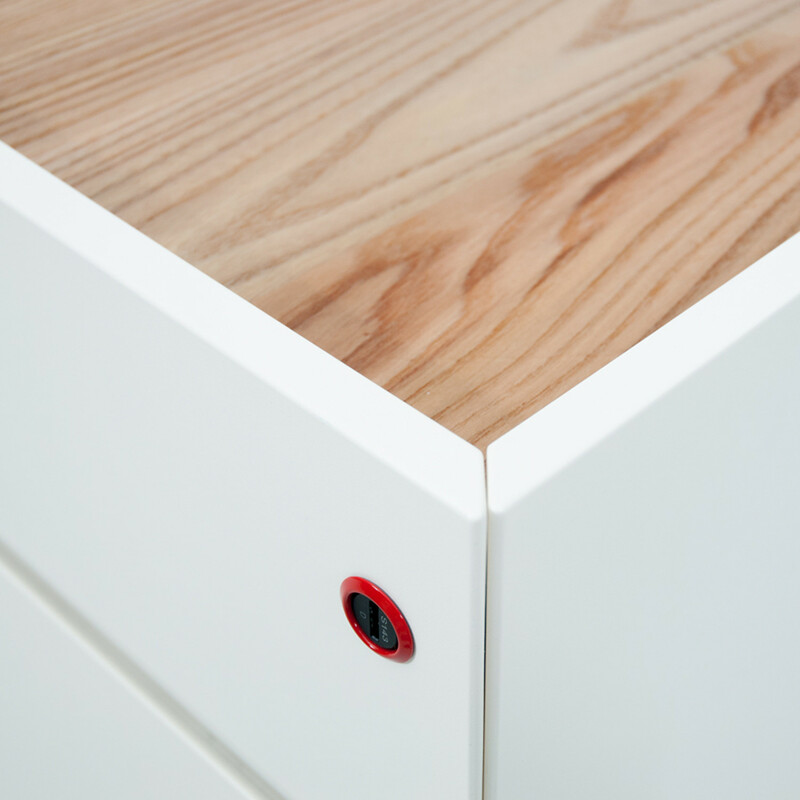 The top of the personal mobile pedestal can be specified with real wood, lacquered red, grey or black top. The surrounding carcass can be in either White or Black. The key lock is finished with a distinctively Bulo red ring and black centre. 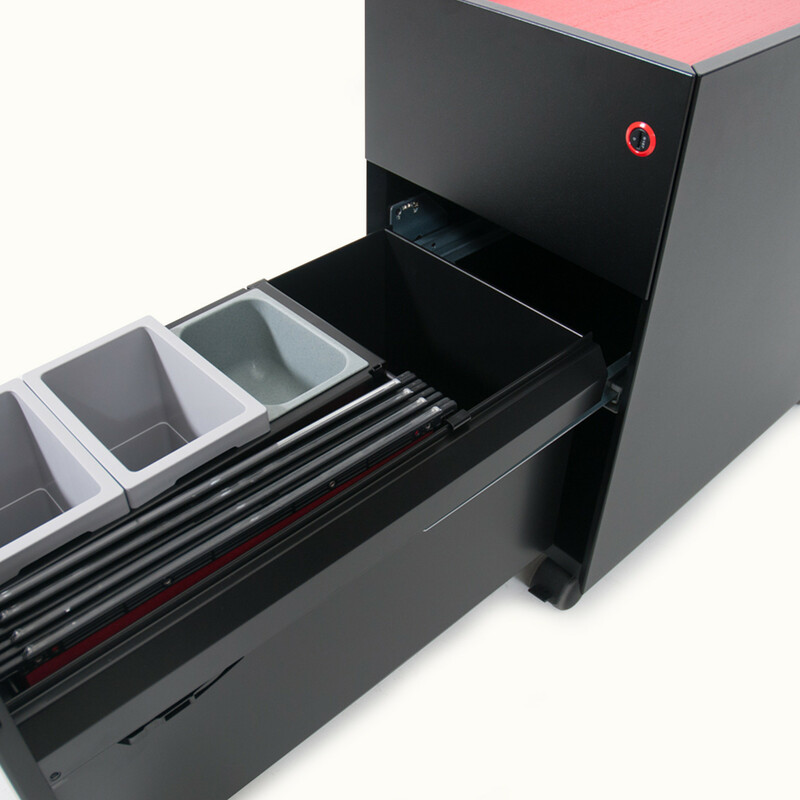 Besides from just being a great under desk storage solution you can add a seat pad on top for any short informal meetings by colleagues or clients. 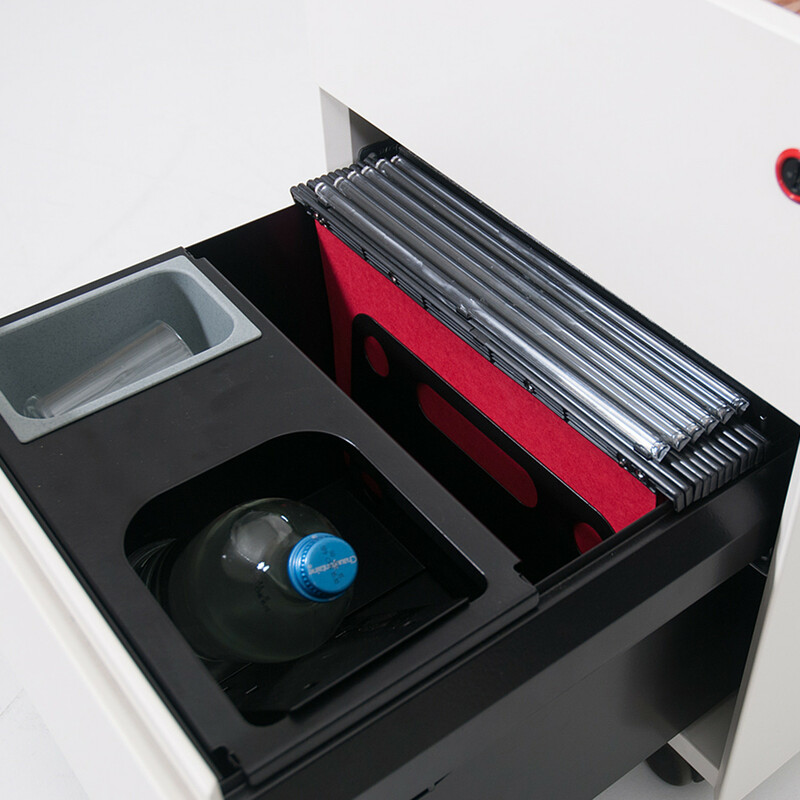 Mr. Walter Pedestal’s interior system filing drawers come with optional cup and water bottle holder, allowing you to store some water for you drop in guest or for yourself. See more furniture from Bulo. You are requesting a price for the "Mr. Walter Pedestal"
To create a new project and add "Mr. Walter Pedestal" to it please click the button below. To add "Mr. Walter Pedestal" to an existing project please select below.